It’s Here! Celebrate Kitchen & Bath Month with NKBA & KBIS! Hello October! Not only is the registration momentum for KBIS gaining speed but October is also Kitchen & Bath Month. Across North America, NKBA members are celebrating! The first KBtribechat of October is co-hosted by both the NKBA and KBIS. Let’s bring the community together to celebrate the industry, talk innovation, gain insight, and share key research to help your business. We’ll see you and the rest of the tribe on October 5th at 2:00 EST. 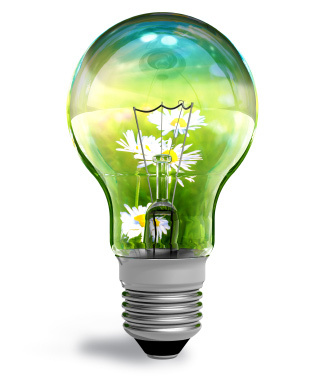 Q1) Safety & Sustainability are two of the NKBA’s key values. Share innovations you’ve seen for safe/sustainable kitchens & baths. Q2) Our partnership with @CEDIA this year @KBIS2017 will showcase home tech solutions. What SmartHome features are here to stay? Q3) How do you feel working with Millennials differs from working with other generations in the workplace? Discuss! Q5) Have you seen our new NKBA Innovation+Inspiration Magazine? What would you most like to see covered? Here is the Hashtracking Transcript and the Tweet Binder Statistics for this KBtribechat. Recently, at an Interior Design Community (IDC) G+ hangout entitled “How Can We Help?” James Bedell, Susan Serra and Laurie Laizure explored ways the design community can help make the world a better place. They decided to have a hangout dedicated to the topic of sustainability. James dug into his Rolodex and came up with a panel of experts on the subject. As a result, the first ever IDC Sustainability Summit will take place at Goggle+ on Thursday, September 5th. How does kbtribechat come in? ….as an adjunct to the IDC G+ event the next day. Join us from 2 to 3pm eastern time at #kbtribechat on Twitter to be a part of this important conversation. Bedell’s career has spanned everything from NYC theater to flagship retail for Abercrombie and Fitch. In addition to high-end residences in NYC, he’s designed editorial and marketing events for Wired Magazine, Diet Coke, Google, and Joseph Abboud. In 2011 he wrote Losing Edison: Beautiful Sustainable Lighting at Home and in 2012 he produced and designed Discover Color, an exploration of the power of color to effect our perception. As of September 2013, Bedell joined Stan Deutsch Associates, representing 30 different manufacturers here in the NYC metro area. His focus will be to work with clients to increase the beauty, efficiency and sustainability of their spaces through lighting retrofit and redesign. Happy spring! A great season to start fresh and make a positive change; it’s a perfect time to remind others to be conscious of their water use. WaterSense® is kicking things off with its fifth annual “Fix A Leak Week” (FALW) March 18-24. As a longtime WaterSense partner with over 220 WaterSense-certified models, the March 20th #KBTribeChat sponsor and host @HansgroheUSA is a major proponent of the cause. In honor of the program, they will use the 2-3PM EST session as a platform to provide water saving tips & tools, info about eco-products, and hear what others have to say about water saving issues. 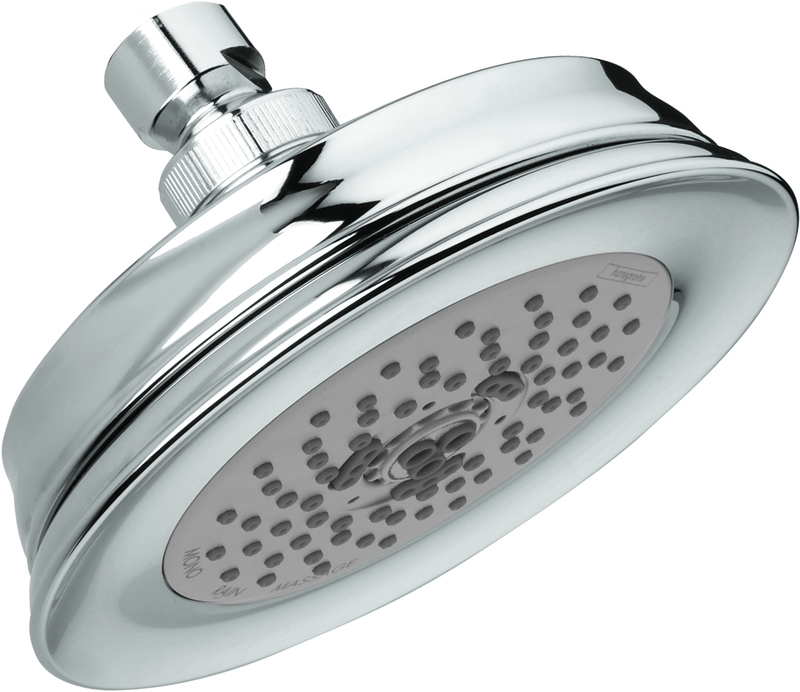 Founded in 1901, Hansgrohe is the premium brand for bathroom and kitchen fixtures, and a market leader in showers and shower systems, as well as thermostat, pressure balance and ceramic cartridge technology. A winner of numerous awards throughout the world, Hansgrohe is regarded as one of the leading innovators in technology and design, with countless inventions and 2,000 + patents. In North America, Hansgrohe is proud to be an ever-growing and vital outpost of the German brand, currently celebrating 25 years of excellence. At its Alpharetta, Georgia home, it offers products that combine masterful German-engineering with skilled American assembly and craftsmanship. Here is the transcript for this 3/20/2013 kbtribechat. On Wednesday, November 28, 2012, Mark Johnson FAIA is hosting kbtribechat. Mark will be interviewing Martin Brown, @fairsnape, from the UK. 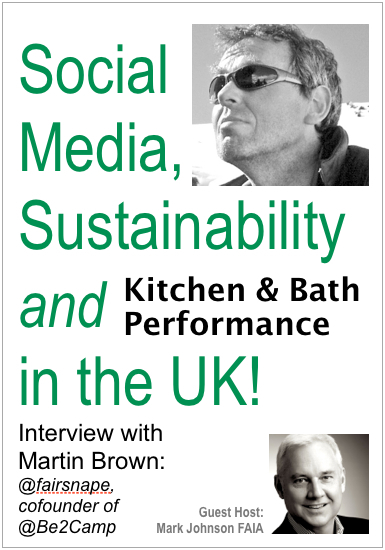 Martin will be sharing about social media, sustainability and “performance / lean improvement” for kitchen & bath replacement in the UK. Join us for this unique opportunity to hear from “across the pond” on Twitter from 2 to 3pm eastern time. Martin is the founder of Fairsnape, Advocacy and Consulting, a built environment strategist committed to enabling success within organizations with a focus on collaborative working, sustainability, social media and organizational social responsibility. From experience garnered through an international career in project management and business improvement leadership, he now supports a wide range of organizations across the built environment sector. Increasingly this includes many individuals and organizations exploring and moving into the social media space to improve their businesses. As an experienced blogger, Martin comments on built environment issues through his blog at www.fairsnape.com in addition to contributing to many other blogs and media sources. He is a also a regular presenter and speaker on collaborative working, sustainability, social media and organisational social responsibility themes. In 2008 he co-founded BE2, a social media and web2 advocacy for built environment sustainability and collaborative working. BE2 now supports and ‘web enables’ a growing number of organisations, awards and events. Martin now facilitates three active tweetchat communities of practice. His current exciting project is establishing Living Building Challenge thinking into the UK as a deep green alternative approach to challenge the current sustainability approaches.